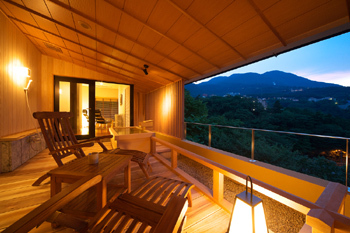 Hakone is a natural park created by volcanos. to some area of Hakone has been rectructed. and it is not affected by the recent activity. I looking forward to seeing you. Thank you for dropping by our homepage. 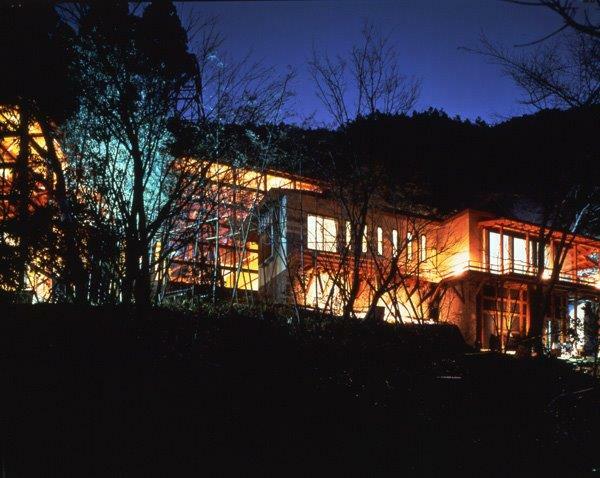 Our hotel is built on the tallest hill of the “Hakone Miyanoshita-onsen". It is just a step away from Tokyo. Our hotel values Japanese customs. 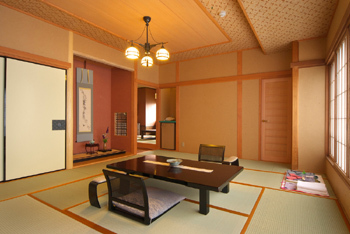 "Tatami" mat”is laid out all over our ryokan. 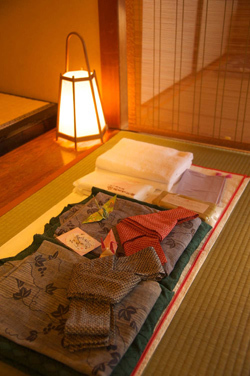 Change into "Yukata and "Tabi"
and treat yourself to the finest hospitality. 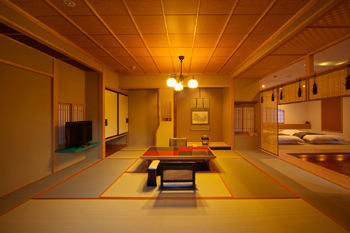 our ryokan is the best place to stay. 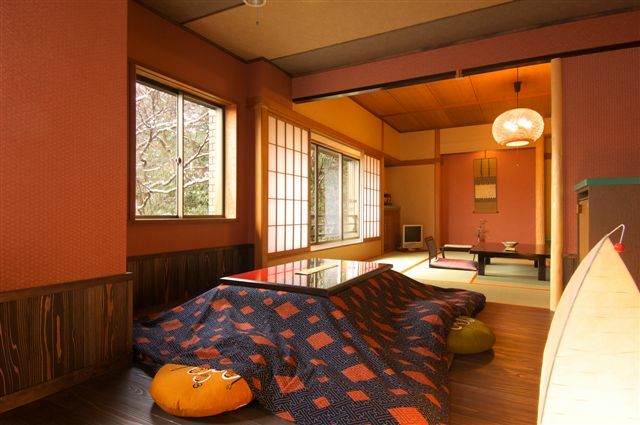 let your stay begin with the touch of "Tatami" mat under you. An array of incense is lit everyday. inviting you into another world. 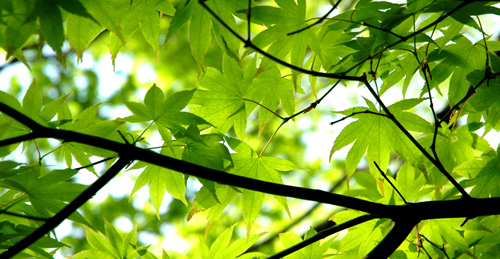 There are four beautiful seasons in Japan. 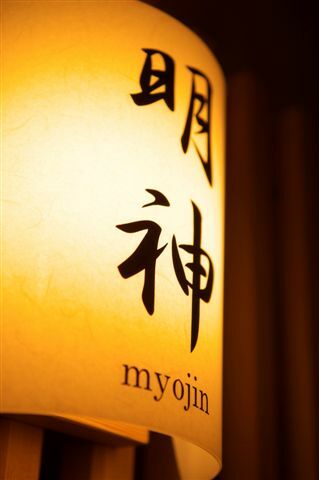 Come to our ryokan to heal your everyday fatigue. take you on an ultimate journey. 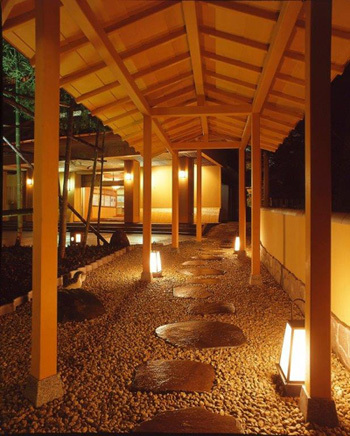 and "Jyakotsu-no-yu" is open air bath. and "Kozue-no-yu" is open air bath. 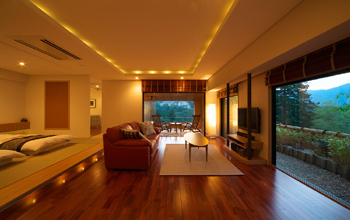 and hinoki tree wraps you up. 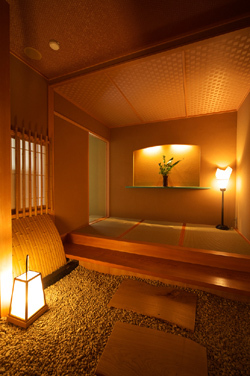 There are three places of open-air private bath. in front of the fourth floor elevator. if the door is opened or unlocked. for 30 minutes each bath. Let us know your preferred time for using the bath. 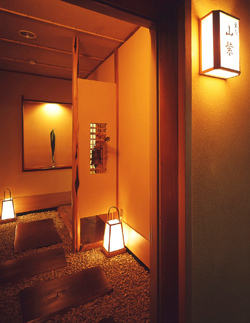 There is a private open-air bath on the 1st and 2nd floor. There aren’t any bath amenities so take what you need from your room. You are surrounded by brilliant greens while soaking in bath. On the 1st floor we have the "Yugoya Yamanoyu". You can see Hakone Tozan Railway below you. so the hot spring has an ample supply of water. indulge yourself in a luxurious time. 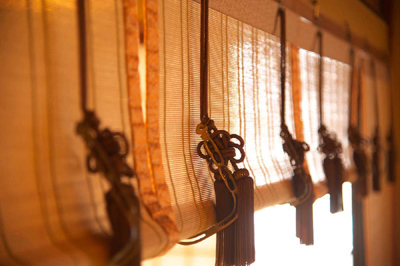 On the 2nd floor we have the "Kakureyu Kunpu". 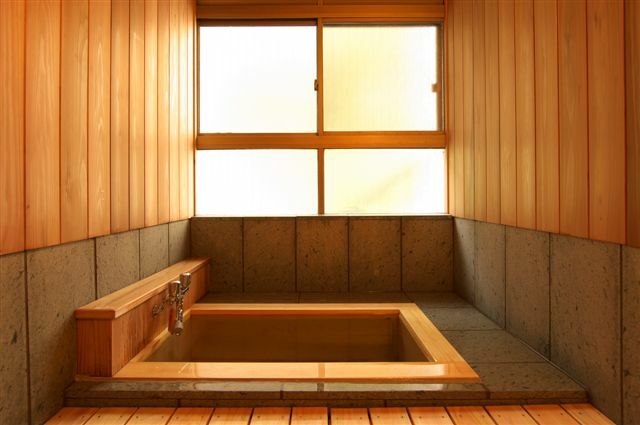 and the bathtub uses Izu stone. with a lantern fire at night and with birdsongs in the morning. 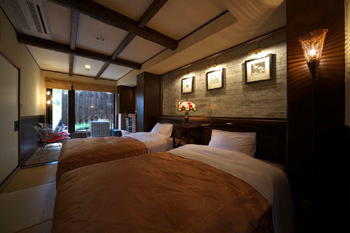 promoting the scenic beauty of Hakone..
We prepar your meal in your room. The attendant serves a dish to your room one by one. Real kaiseki cuisine serves seasonal food. the savory dinner course is a treat both to the eyes and the palate. We prepare the dishes in a way to let you savor the flavor itself. grilled fresh abalone served on a special plate. Guaranteed to please your taste. 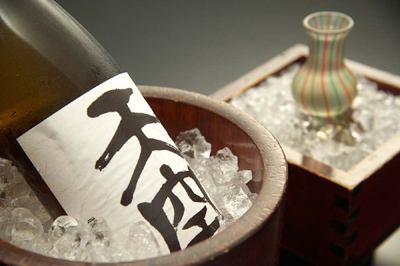 A Japanese sake, brewed carefully and slowly. Japanese-style confectionary and a warm hand towel. 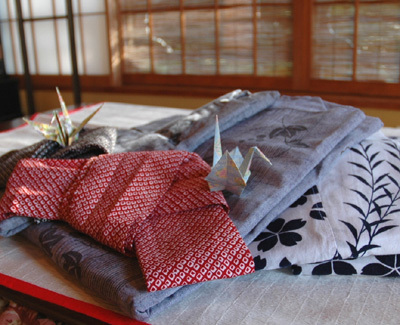 and instructs you on how to wear "Yukata". Our yukata expert designed the Yukata. One Yukata is for relaxing and the other Yukata is for sleeping. It is very easy to wear even for a first timer. letting you have a good nights sleep. You can wake up with a refreshed feeling. and make yourself at home.". Please use this room when waiting for each other. 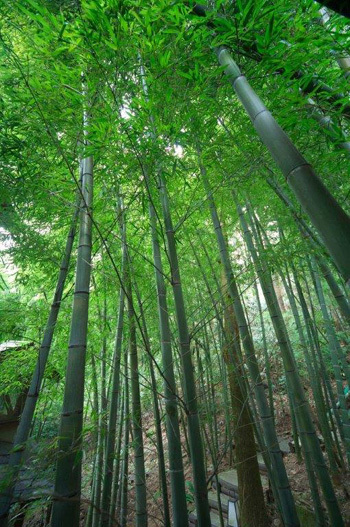 while looking at the beauty of bamboo trees on site. We serve our original blended tea. and draft beer which can also be delivered to your room. 10:00pm to 11:30 (closes at midnight). Expenses can be charged to your room. as you gradually brew it. Steam it in a tea pot and enjoy the deep taste. 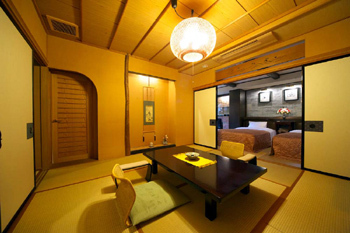 Our ryokan has 20 rooms in total..
you enjoy the spacious room arrangement. 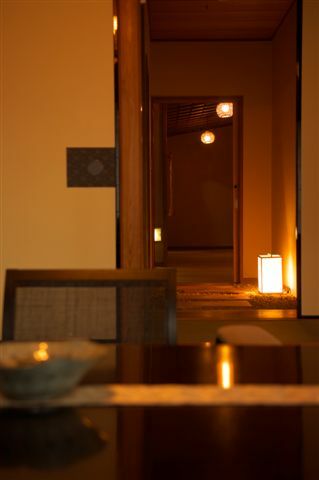 Luxury Suite "楓(kaede)" is 1 room. The outdoor bath overlooks beautiful mountains. from the daily hustles of life. (hot spring with bath) . by the layout or the atmosphere. 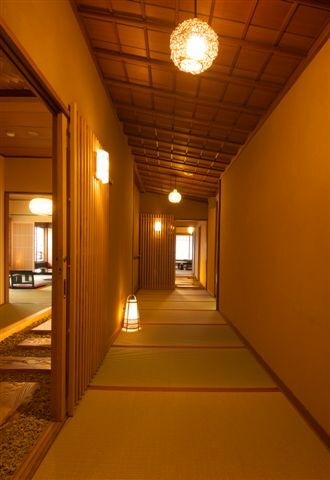 (one room is hot spring with no bath). and the view from the room is great, too. The room itself will keep you entertained. and have an appetizing meal in another room. Counselling is done by an expert on face and body. and your mental state of the day. There are 15 kinds of essential oil to choose from. depending on your need guaranteed to relax your mind and body. Detox your body and let the buildup of everyday fatigue go. Drop by our souvenir shop for a memory of your trip. We have homemade plum liquor and succulent pickled plum. at Hakone-Yumoto station for Miyanoshita Station. from Hakone-Yumoto station to Miyanoshita Station. from the mountain where our ryokan is built on!! from the large monitor at our lounge. Please click on channel 11of your room TV.